Central Railway vacancies. 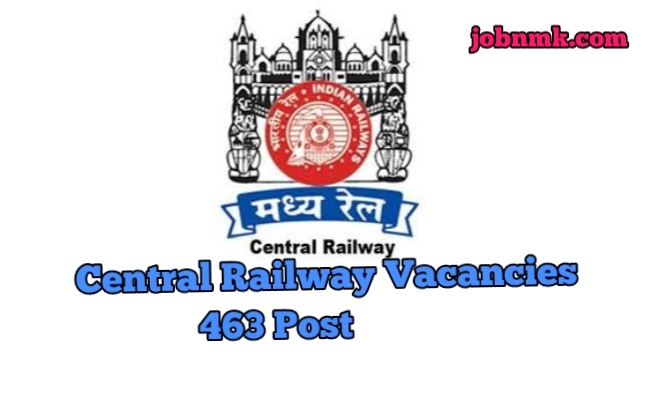 The Central Railwayhas Invited Online Application apply for the form of Station Master, JE and Other Posts in Central Railway, Mumbai, Maharashtra. Those who are Interested Can Read the Full Notification Before they Apply online. Graduation or 12th Standard or Matriculation + ITI/Apprenticeship. Go through the notification for detailed authentication and eligibility criteria. According to the norms 7th pay. Max age limit: 65 years. Go to on “Current Openings” menu option and Select the desired post that you want. Properly read the given information carefully and Click on “Apply Online” button. Click on the button “Click here for New Registration” button, if you are a new user. Fill the all details in the application form and upload Photo, Signature as per requirement. Application fee should be paid only through Online mode and then Submit the Form. Take a print out of Online application form for your future use. We hope now you are aware about Central Railway Vacancies of Mumbai very well.